For today’s review, I am smoking the Historico. It comes clothed in a uniform, lightly colored wrapper. Each of these that I have smoked has been blemish-free and very smooth to the touch. There are occasional but barely noticeable thin veins and little oiliness – the cigars are quite dry to the touch. After having smoked a dozen or more Toro y Leon cigars, I have noticed a pattern of impeccable construction. The (triple) cap in particular has been perfectly placed and applied in every case. I am sometimes persnickety and critical of construction issues, especially at the head of the cigar; I rarely enjoy a smoke if the cap is bothersome or tends to unravel. Without fail, the Toro y Leon has provided unfailing quality. The internal construction has been equally impressive, with never an issue with voids or overly dense areas. Today’s example is no exception, and presents a firm yet free draw. 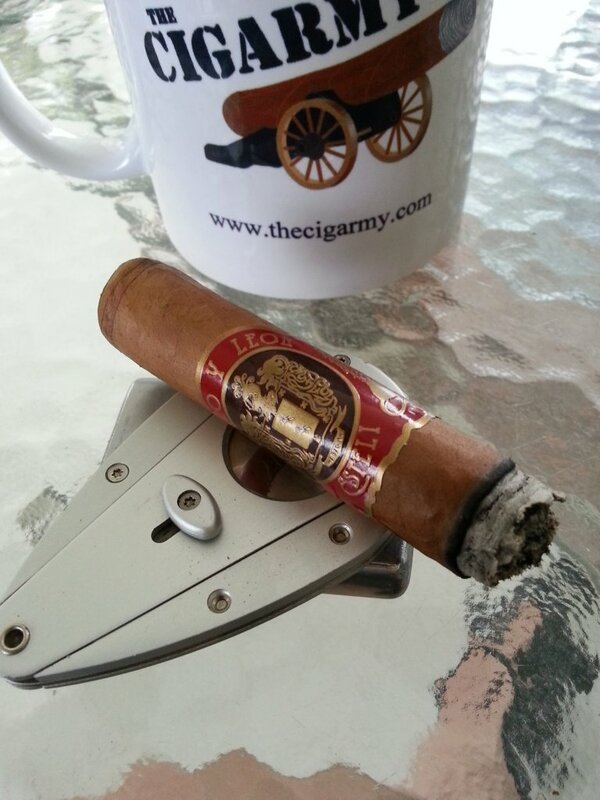 As for prelight aroma, the Historico wrapper carries a mild smell of tobacco and hay. The foot aroma is a bit more dark and sweet – a slightly more pungent hay or barnyard is brought to mind. The prelight draw is straightforward hay. On initial light, and for the first few minutes of smoking, the flavor is mild but does create a bit of peppery “zing” through the nose on retrohale. There is an overarching sweetness that binds the pepper to some wood and leather flavors. Likely due to the aforementioned diligence in construction, the burn is very even and well-behaved. No relights or even touchups to speak of. The ash is holding on around the one-inch mark when I inadvertently knock it off while retrieving it from the ashtray. Going into the midsection of the cigar, the early pepper has faded quite a bit, but the flavors remain very consistent; wood and leather abound. The burn continues to perform admirably, still without so much as a touchup. The smoke becomes somewhat drying on the palate. I have noticed that sweet snacks or drinks do not pair so well with the Toro y Leon; I like to simply have a glass of water or plain, black coffee in hand with them. Throughout this portion of the smoke, no significant changes occur with the flavors. They remain bold but consistent. 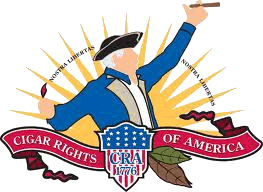 I would place the strength of the cigar well in medium territory. Turning the corner into the final portion of the Toro y Leon, the finish seems to lengthen, which provides an enjoyable, slightly cedary spice that tends to linger on the palate. I am impressed by the smoke production of this line of cigars. It does not produce vast amounts of smoke while smoldering on the ashtray (à la the Drew Estates UnderCrown), but when drawn it creates tons of palate coating smoke. The burn continues with its earlier perfection, and both flavor and strength intensify in the final stretch. 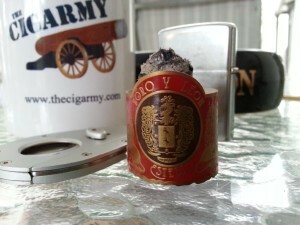 Some folks constantly seek a cigar that will repeatedly present flavor changes throughout the smoke. While I can understand that search for “complexity,” I find it refreshing to find a cigar that simply provides pleasant flavors for the entire length of the stick. The Toro y Leon does just that. The range of flavors from one cigar to the next is quite consistent, and within an individual cigar very comfortable and dependable. 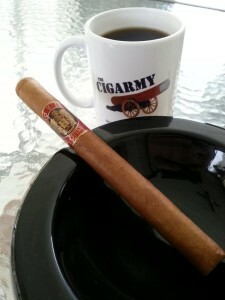 I’d place both the flavor and strength of the Claro line firmly into medium territory (with a noteworthy intensification during the final third). In my opinion, it is bold enough to be entertaining and hold anyone’s interest – yet still approachable for a fledgling cigar enthusiast. I’d definitely recommend giving these a try if you can locate them at your local shop…and recommend them to your tobacconist if not. 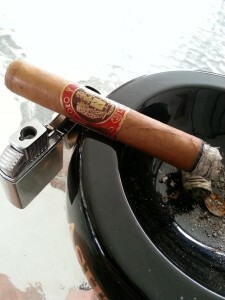 The Habano Claro is a very good cigar. I like the Reserva Especial a little bit better. Interesting, Tom. I’ll have to check and see if Charmed Leaf has any when I’m back down there. 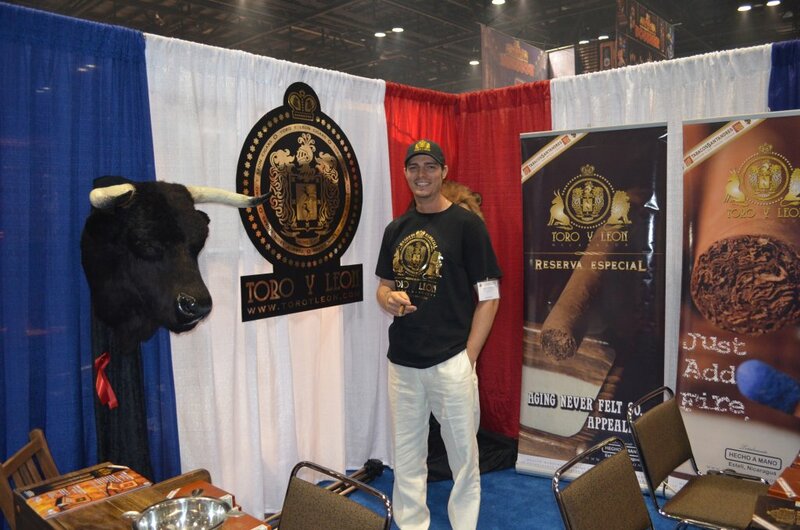 Do you know if Toro y Leon has any retailers in our area?